And so the first evening of SANREMO has passed. What to say, the song IL VOLO is very beautiful, but the audio of the TV show was bad, then it was fixed, but the boys had already sung. But let’s look at the video of the evening together. The more I listen to it, the more I like it, it’s beautiful. The lyrics are very beautiful, the music has a less classic touch of “Grande Amore”, and a little more rock. The voices of the boys always very beautiful. At the end there was a very long applause, I think the longest of all the evening. The public loves IL VOLO. Too bad that in the RAI video, the applause was cut. At the end of the performances, there were no eliminations or even rankings, but only groupings in three great colors. In the blue color the most voted, IL VOLO is in that, then there is yellow and finally red. What do you think of their clothing? Honestly I do not like Ignazio’s pants, the rest, everything is OK. The guys were very excited, but they were fantastic! Today in the newspapers, there are different opinions, some consider them winners and those who do not. A satisfaction, I read a comment that says that the press room, gave an applause to IL VOLO, while if you remember the last time they had reserved only whistles to them. The official video of the song has also been published today. Here it is, we try to make the views go up, watching it continuously. It’s a rather strange video, I have not yet understood the meaning, I have to see it again and again. Also in these days the video-diary started, we are already on the third day, here it is. P = We will tell you about our days in Sanremo. I = Yes, even our ugly figures ….. no, the ugly figures, maybe not. We are happy to do it again (the video diary). P = You can follow us on Sorrisi.com. I = Hello friends of Sorrisi, here we are at another appointment in the diary. P = This morning what have we done? I was good, because I woke up first and went to the gym, I trained, then I met Gianluca at breakfast and Ignazio, as usual, last. G = Yes, because we two train ourselves, Ignatius no. Now, we are doing the interviews. P = Exactly, we have already done six or seven interviews, we’re going to rehearse this afternoon. G = It will be a pretty intense day, we are excited because day five is approaching. now we are close, the emotion increases, even the tension, but we cannot wait to sing the song for you. P = Ignazio, on the other hand, cannot wait to train …. G = Hello friends of Sorrisi.com, today in Sanremo is a wonderful day. I = We wanted to introduce you to Fonzie (he refers to Gianluca). P = We have not forgotten about our video diary, we are walking, but we are actually going to eat. G = We have already done several interviews, it is a busy day up to 4:00 pm because then we have to rest for the evening. I = Yes, now comes the most important moment, as Piero said, which is lunch, you have to eat, treat yourself. P = Actually we are really loads for tonight, there is a different tension, compared to other days, we can not wait. G = We can not wait to sing “MUSICA CHE RESTA” for you. Hello. P = From tomorrow we can sing it. I = Hello guys third day. P = We are at the editorial office of Sorrisi e Canzoni. I = Last night we sang for the first time “MUSICA CHE RESTA”. P = You will know soon, after the press conference. G = We can not wait to sing it again, so you can hear it again, and you can learn it by heart. P = Today, for a change, lots of interviews, it’s nice to hear our song on the radio, this is the most beautiful emotion. I = But do you like my hair today? G = It’s too classic. I = But I’m a “cool”, look. G = Yes, but you say it to yourself, alone. I = You are jealous …. P = Boys, you’ll soon know if we’re singing tonight or tomorrow. G = Follow us on social media. I = And here on Sorrisi.com. In addition, today our boys have received a prize from you tube. PR = I am very happy to deliver you on behalf of YouTube, the “Gold Creator Award” for having passed one million subscribers on your YouTube channel. This shows all the affection and enthusiasm of your many members. P+I+G = Thank you all. You can be original, being Italian !!! Some shots of the boys in the performance of the second evening. So, how did you feel the first evening? I want all your comments and tonight, waiting for us the second night. 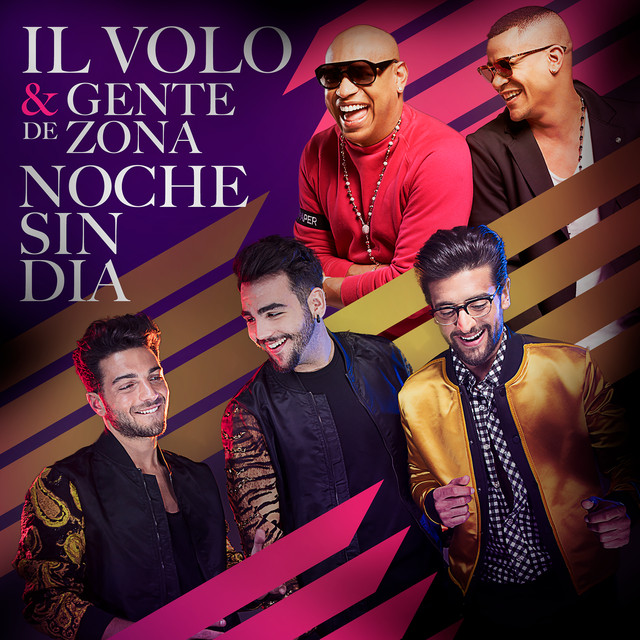 Tonight, Thursday, IL VOLO does not perform, so they will have a day off, tomorrow they will perform in the duet with the violinist Quarta. Il Volo announced they will participate in World Youth Day in July during an appearance in Loreto, Italy. World Youth Day is an event organized every three years by the Roman Catholic church emphasizing the unity of different cultures. A highlight of the event is the arrival of the Pope and his conducting the final mass of the event. It is called “youth day”, but it will actually span nearly a week ( https://en.wikipedia.org/wiki/World_Youth_Day ). Article: Il Volo pronto a “spiccare” a Loreto, con direzione Cracovia 2016 ~~English Translation by Melissa B.
Il Volo Abruzzo Loreato Italy pre Word Youth Day visit Il Volo lights the torch to be carried to Poland. Il Vol- Italian Fan Club; @Eleonora Brugnoni – Loreto Italy 5/16/16 Il Volo – the flight. Visit the World Youth Day Website here. Once again in studio, Il Volo gave an interview to Italian radio station: RTL 102.5. 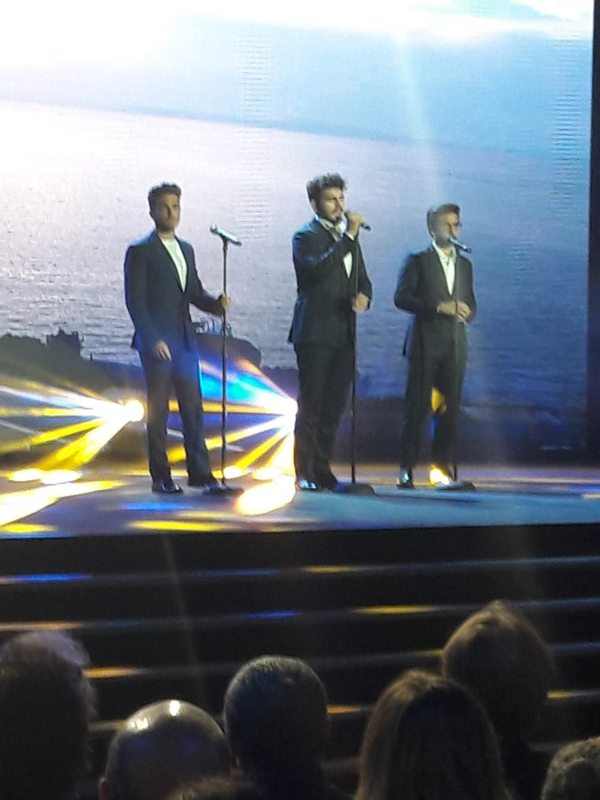 Article: Il Volo: A Magical Night, Tribute To The Three Tenors ~~ English Translation by Melissa B. It is believed that this will be a PBS special, so we would likely be able to look for programing information later this summer or early fall.